Canadian group BARK Collective wanted to show the world what great Canadian design is all about. They came up with a remarkable cabin that can be packed up and shipped on a train, a truck, a ship, an airplane or a helicopter while being unrecognizable as anything other than a shipping container. 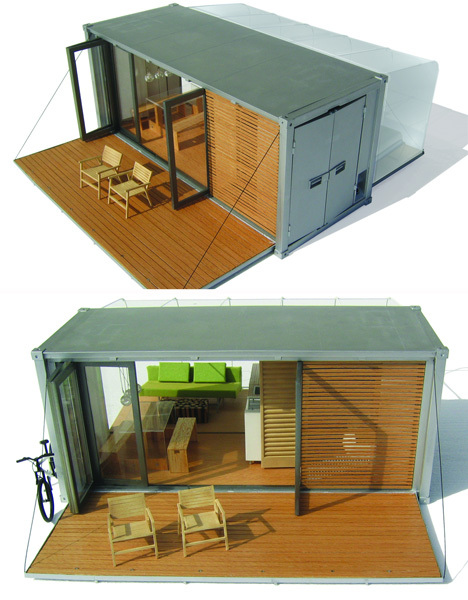 But once at its destination, it opens up into a comfortable, if rather small, living environment. There are accommodations for a family of four and one pet to live off the grid in style.